This adorable romper is so practical. It is soft and comforable for wearing at home, with a gorgeous skirt to 'dress it up' for going out. 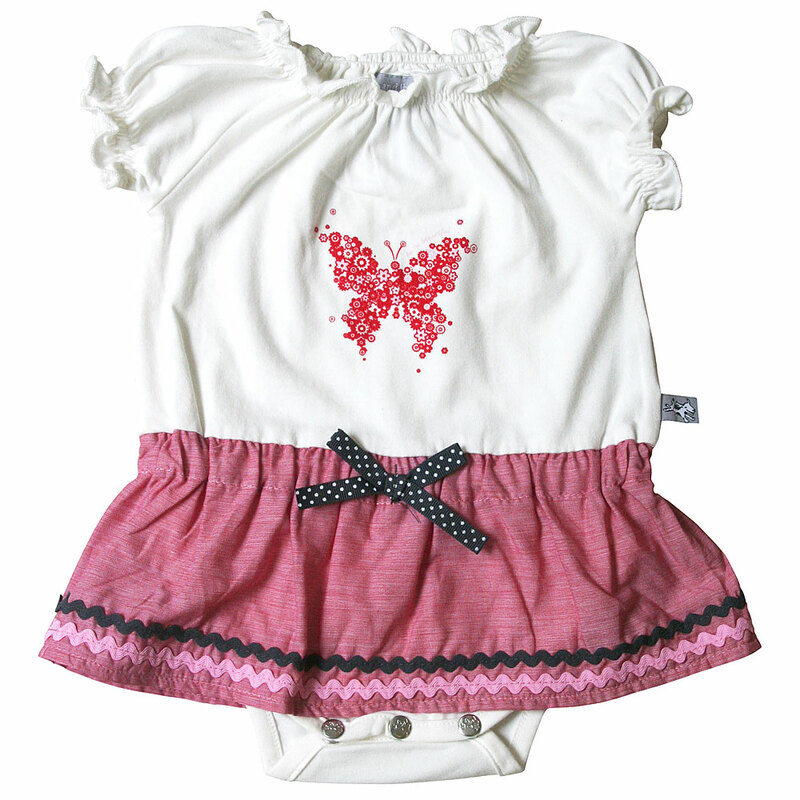 We love the detailing: the grosgrain ribbon bow; red butterfly print with the words "tu tu beautiful" in tiny lettering; soft gathered neckline and sleeves; nostalgic zig zag ribbon trim around the skirt.